In recent times socio-political changes are occurring with such a speed which has never been observed before in the history of mankind. Previous century can be regarded as a century of changes and the process is not yet in a mood to end. Emergence of socialism and its decline, boom of capitalism still prevailing, death of colonial-system, communism of China, adventures of Advolf Hitler, two world-wars, Jewishmovement, Berlin-Wall and lot more have been observed and faced by mankind. 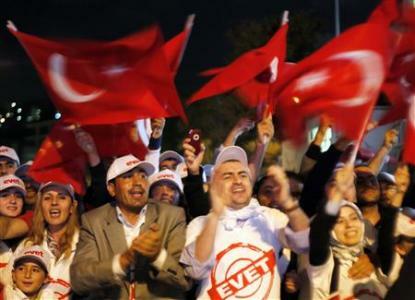 One of the recent change or I may say socio-political movement has been observed in Turkey in the recent years. The “Syed Fatah-ullah Golin movement” which has brought out enormous changes in the Turkey by educating millions of young ones in especially devised school-system, a great welfare network, business associations and also training thousands of scholars in modern Islamic ways. He did not politicized the movement and never helped any political candidate but in fact this was the movement which has supported and strengthened the “Justice Party” under the leadership of Tayyab Ardgan (a great reformer). Another reason behind the success of “Justice Party” is that Tayyab Ardgan has not only the voting-power of the rightists under his belt but also he worked hard to attain the popularity among centre-of-right and liberal-left forces of the society. They introduced new and fresh slogans in the political system such as “we are socially conservatives but politically liberal” to attract the masses. In short this movement has not only proved the practicality of Islam but also has laid the foundation for many upcoming revolutions yet to come. It is a very pitiable condition for Pakistan’s people that they have to face new prime minister which is already notorious for his bad governance in the time when he was the minister for water and electricity. He promised many a times to control load shedding but could not do so I don’t think he is capable of any responsibility of this kind. As I share my own experience as we some friends were going to a remote area “Quid-abad” near Mianwali in the way the road was blocked by the angry people, tyres were burnt spreading smoke everywhere .I asked one of the persons present there what was the matter? 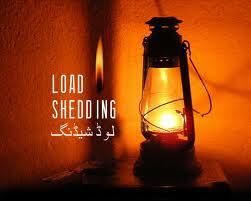 He said people are protesting against the long period of load-shedding. H e also said that the angry people had burnt WAPDA and NADRA offices also. Someone was telling that people have tortured a DSP who came to disperse the masses. Looking this condition I was now thinking that a person who could not manage a single department how could he be given the responsibility of whole of the country which is already in a critical condition due to so-called “war against terrorism” waged by America upon us. Pakistan is in this condition due this war. America along with NATO must realize our feeble condition and must help us to get out of this in spite of scolding and threatening us. Being the hottest issue all around the country the Arslan Case may I call it “Trap Case” has revealed lots of weaknesses of our society. There are voices claiming it a serious attack on judiciary and inwardly making assumptions to see the judicial system to go on back foot as it has been in near past. It has also unveiled the “power-stations” of the society affecting all kinds of national issues and “wheeling” the illegal processes. If I clearly say the “king –makers” of the system. Along with other questions in this case it has put a question-mark on the credibility of our so-called free media. Proofs were shared with “renowned” journalists and anchor-persons about a month ago but I don’t know why they did not share these proofs in their writings and plays(the talk-shows) they didn’t give importance to this issue or they didn’t want to? Planted interviews , attack on judiciary, underhand deals , relation with corrupt politicians and personalities has blurred the image of our media. This case will leave lots of questions behind it. So, I assume this case has become not only “Trap-Case” for judiciary but for the so-called free media too .